The following presentation was given October 18th, 2007, at the Kansas Built Environment and Trails Summit in Lawrence. The purpose of the presentation was to outline the steps necessary to bring a Kansas bicycling and walking federation into existence over the following year. Many of us who have been involved in bicycle, pedestrian, and trails issues in Kansas saw that the time was ripe for a statewide advocacy organization to be created. Very little in this presentation is unique to Kansas, however. Almost all of what is outlined here applies to starting any bicycle/pedestrian advocacy organization--in any state or any city. This presentation is available as a more-nicely-formatted and printable PDF file. Meeting: Immediately after this session anyone interested in being a part of this effort will meet in an "affinity group" area during the reception. For financial stability, keep a balance among the three. - staff's first item on job description is "raise own salary"
WHO is needed as part of organizing committee and WHAT will they need to do? These people become part of prestigious "Statewide Advisory Board"
Other special/exclusive benefit/gift for donating at this level--special jersey, signed poster, etc. 501c3 status is necessary for fund raising, grant applications, etc. Easily updateable blog-style "news" page for organization: upcoming meetings, developments, announcements, etc. Strongly suggest "blog" or "article" type interface like blogger, WordPress, Joomba, so that ordinary people/board members can be recruited to submit regularly updated content/news/announcements/etc. Work with website chair about how to establish/run email lists. MoBikeFed has ideas/resources/software. Later in the year, decide whether the organization is ready to go forward with an event. If so, choose an event and start planning it. 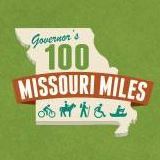 D. HughExecutive DirectorMissouri Bicycle Federation Inc.
MoBikeFed membership and fund raising goals--we are SO CLOSE to reaching them!